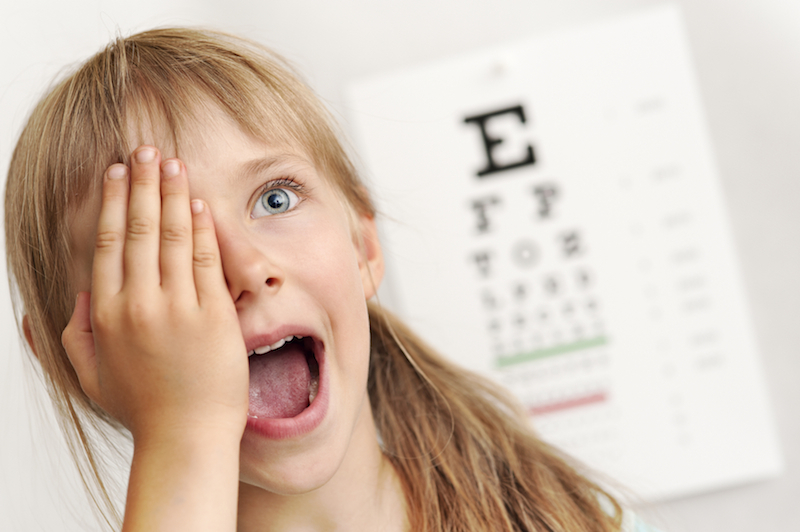 Your child should have their first comprehensive eye exam between the ages of six months and one year. After this, exams should take place every two to five years, depending on your eye doctor’s recommendation. Once a child is six years old, they can see the eye doctor every two years, unless there is a potential problem that requires more frequent visits. These pediatric eye exams may seem stressful or scary to young children, but they don’t have to be. Here are some steps you can take to ensure a positive experience for your child. Do your research. It’s important to choose an eye doctor who has experience working with kids. Look for a practice that seems child-friendly. The staff should be friendly and easy-going; there may be a play area in the waiting room. They should also have plenty of options in children’s eyewear. It’s a good idea to check out the practice for yourself before bringing your child to ensure that it’s the right place for your little one. Talk to your child. Take some time to sit down with your child and explain what will happen when they visit the eye doctor. Use simple terms to describe the eye chart and other tests they may have. Tell them that the eye doctor might want them to look at pictures, shapes, or letters and name each object – just like a game. Use the Internet. Give your child a “virtual tour” by finding images or videos online of doctor’s offices – your own, if they have them available. Seeing pictures of waiting rooms, eye charts, and the equipment found in eye doctor’s offices can help your child feel more confident that they know what to expect. Prepare a list of questions. It’s easy to forget your questions and concerns at any doctor’s appointment, so be sure to write them down ahead of time. Think about anything you may have noticed about your child’s vision such as squinting, or any related complaints such as headaches. All this information will help your eye doctor to understand what they may find. Offer options. When it comes to eyeglasses – as with many other things – if your child can choose their own, they’ll be more likely to want to wear them. You may want to preselect a handful of suitable options and let your child choose from these to ensure that your child ends up with glasses of which they, the doctor, and you all approve. Stay calm. Your child takes many of their cues from you, so don’t get frustrated or upset, even if your child does. You don’t want your child to sense your stress and react in kind, so keep the entire visit as fun and upbeat as possible. Explain the doctor’s instructions – and help your child adhere to them. Teach your child how to follow any instructions the doctor has given you, such as caring for their eyeglasses. Being responsible for something as important as glasses may make your child feel more grown-up and more likely to follow through. You can also take advantage of the many resources available online such as games and other activities designed to help prepare kids for eye doctor appointments. 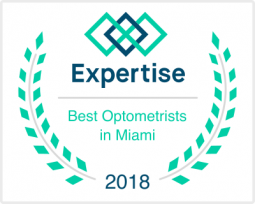 At Weston Contact Lens Institute, we welcome children and do everything we can to offer a pleasant treatment experience for our littlest patients. We also provide daily exams until 6:30 pm to make it easier for busy parents and students to schedule the eye care they need. Contact us today to make an appointment and start your child on the path to healthy eyes for a lifetime.